The Halftone Illustrator Tint Pack was inspired by the beautifully irregular halftone screens from vintage posters, punk rock photocopies and comic books. If you’d like to give your print or web artwork some real texture, the Halftone Illustrator Tint Pack is just what the doctor ordered for artful, effortless, lush halftone tints. With the Halftone Illustrator Tint Pack, you’ll achieve gorgeous halftone pattern fills … while working faster than ever. 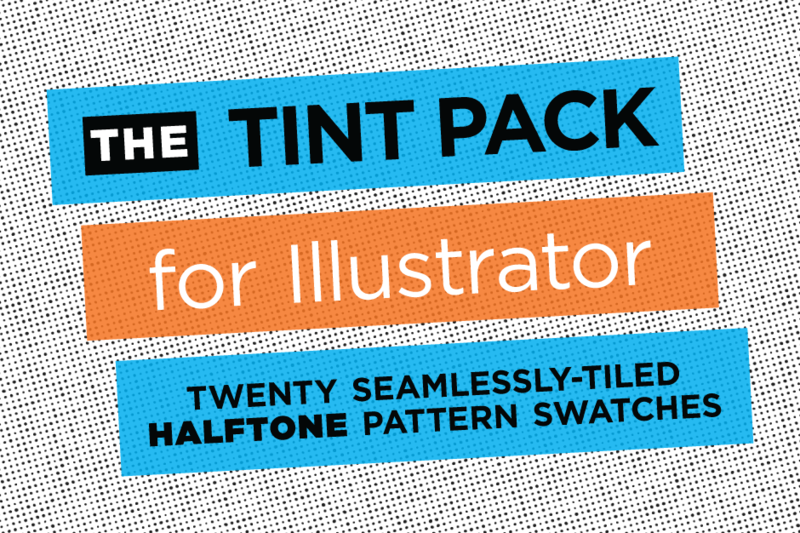 The Halftone Illustrator Tint Pack is comprised of seamlessly-tiled pattern swatches. Just open our swatch library from the swatch panel in illustrator — then select them as you would any swatch. Because they’re tiled, they will instantly fill your object; you will never “run out” of background. And, our swatches are composed of patterns sufficiently big to avoid that “repeating” look. 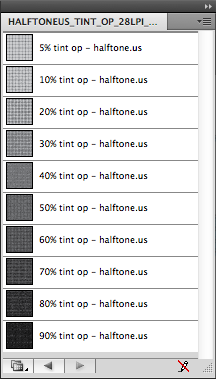 NOT a bunch of random grungy halftones — the Halftone Illustrator Tint Pack contains a full-range of tint patterns, from light to dark, in smooth 10% increments (plus a 5% tint). With just the right amount of variability in the size and shape of the dots to give your artwork a more organic look — you can almost smell the ink! And just so you know, you’re not limited to black dots. 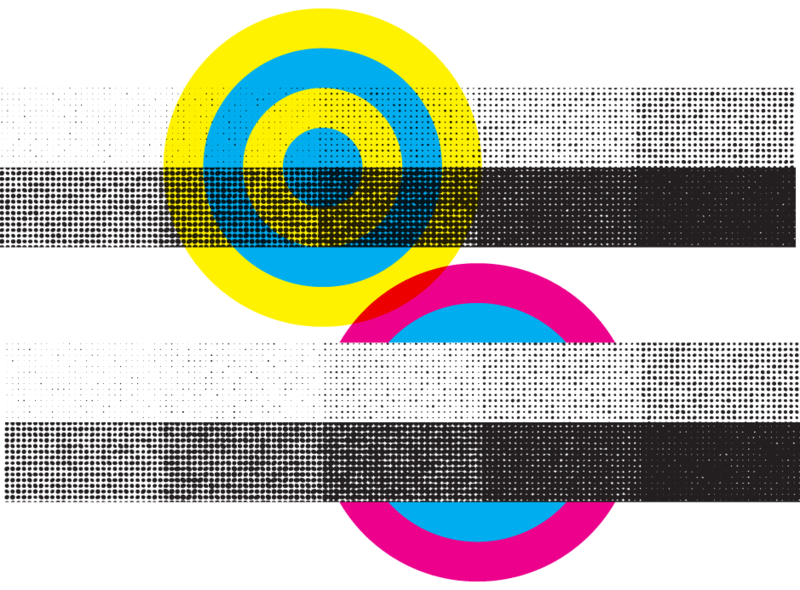 They can be any color you want … even overlap different colors to get authentic process printing effects (like this). Learn to use the Halftone Illustrator Tint Pack by watching these videos. 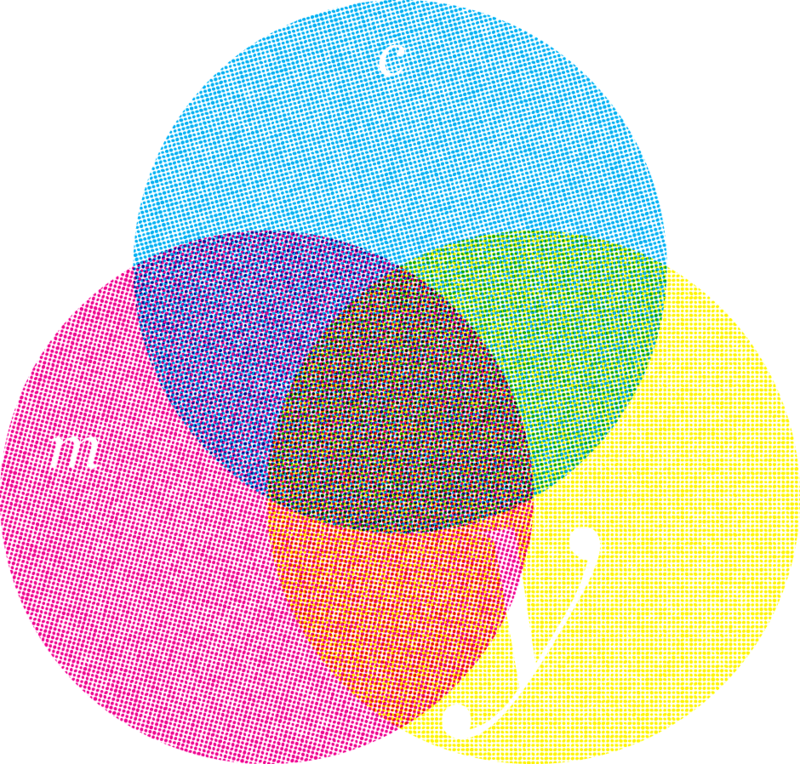 Two variations of each swatch are included: clear (CL) as shown over upper target, and opaque (OP) as shown over lower target. Just open our swatch library from Illustrator’s swatch panel — then select them like any other swatch. Boom. Your object is filled with awesome looking tint. Use Illustrator’s rotate, scale and color edit tools to tweak the line screen, angle and color. It’s easy. Have a look at the videos.